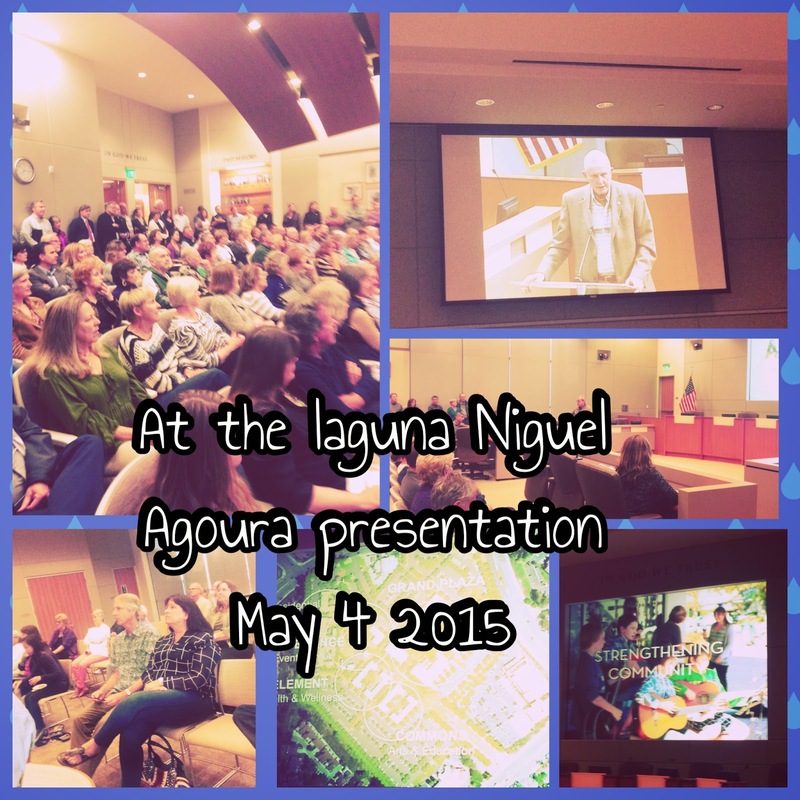 My Virtual Corner : Around Town in South County: On the Laguna Niguel "Agoura"
Around Town in South County: On the Laguna Niguel "Agoura"
The Lagune Niguel Women's Club hosted a Community Forum at the Laguna Niguel City Hall on Monday May 4. We had commented on it and our founder joined the forum to get a sense of the plans for the proposed re-development of the Old Superior Court Area. The Community Interest was ever so evident as both City Council Chambers and the Community Room was filled almost to Capacity as the deliberations began. Mayor McCloskey began by noting an brief overview and underscoring that this Community Forum was the beginning of a process. The Developer of the Project, Shaheen Sadeghi of the LAB, thereafter began to provide an overview of the proposed project. The project itself includes restaurtants, an Arts Complex, theaters and a residential villa community of up to 200 Units. The comments from the community was striking as to some of the challenges being faced. Some of the initial comments prompted the Chief Real Estate Officer for Orange County to provide a overview of the proposals and thereafter the dilligence undertaken before the Lab was selected to continue onward with the development. There are certain actions required by the City of Laguna Niguel during the process which will begin on May 19 as the City Council takes up changes to the General Plan to it and the necessary rezoning required. We will continue to monitor and report on it periodically throughout the ensuing months.